Amharic is the language of the Amhara people and is used as a lingua franca across Ethiopia. It is also spoken by groups in Eritrea, Canada and the US and is often learnt as a second language by Rastafarians, who consider it a sacred language. Amharic belongs to the same language family as Arabic and Hebrew, but its closest relatives are Tigrinya and Tigre, spoken in Eritrea. Although there are dialects in Amharic, they are mutually understandable. The Amharic word for 'myself' is literally 'my head' ራሴ ! In the Amharic script every symbol represents a consonant + vowel sequence. 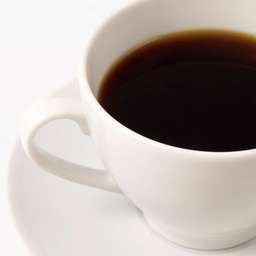 Coffee was first grown and consumed in Ethiopia. Amharic is the only language in the world apart from Armenian where the word for 'coffee' doesn't sound like 'coffee' or 'café'. Amharic speakers call coffee 'buna' ቡና. The Amharic definite article ('the'), like Romanian and Swedish, comes at the end of a word instead of at the beginning. For example lej ልጅ is “child” but leju ልጁ means “the child”.